Locally known as “Barlick” it’s found on the lower slopes of Weets Hill in the Pennines, between the Ribble and Aire valleys, just outside the Yorkshire Dales National Park. 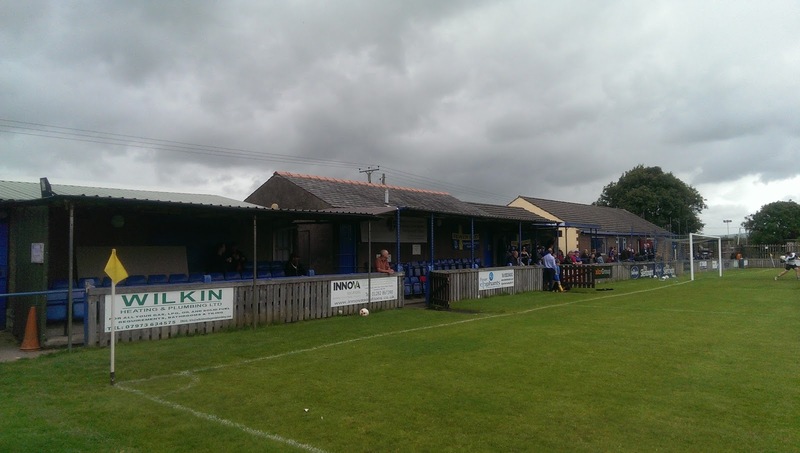 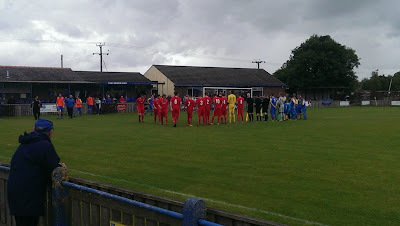 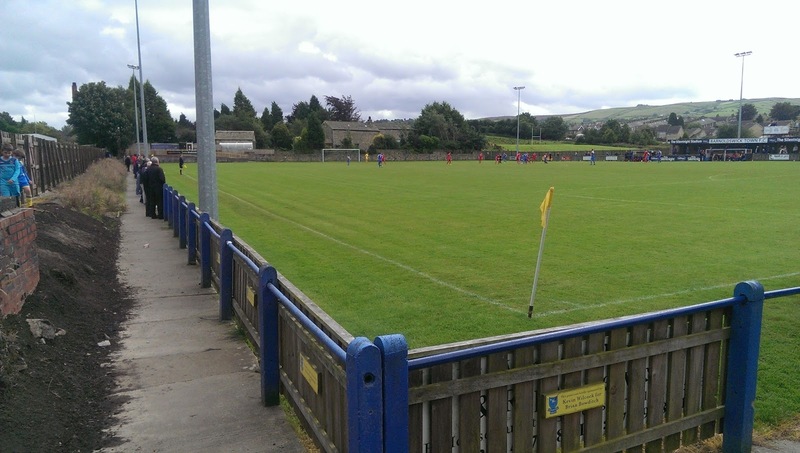 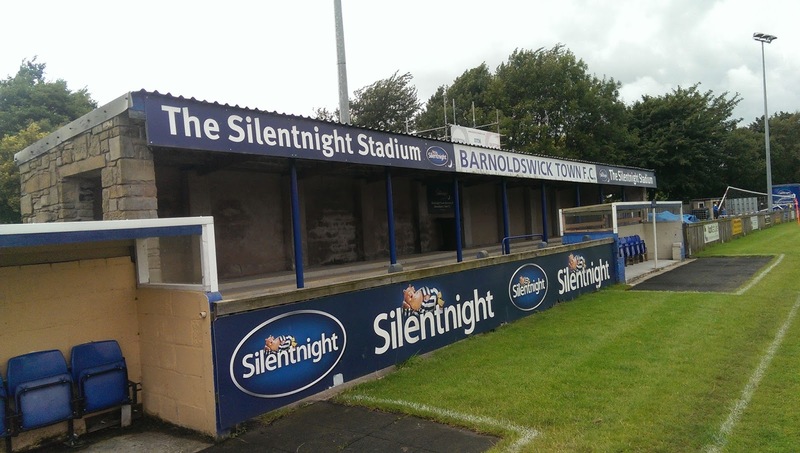 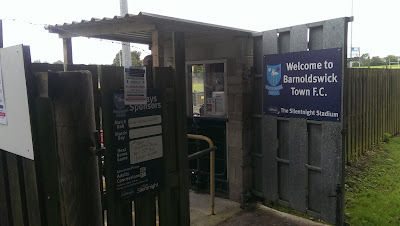 There was an original Barnoldswick Town, which played in the Lancashire Combination and Yorkshire League in the 1920’s and thirties, however the current club was established in 1972 as Barnoldswick United(1972). 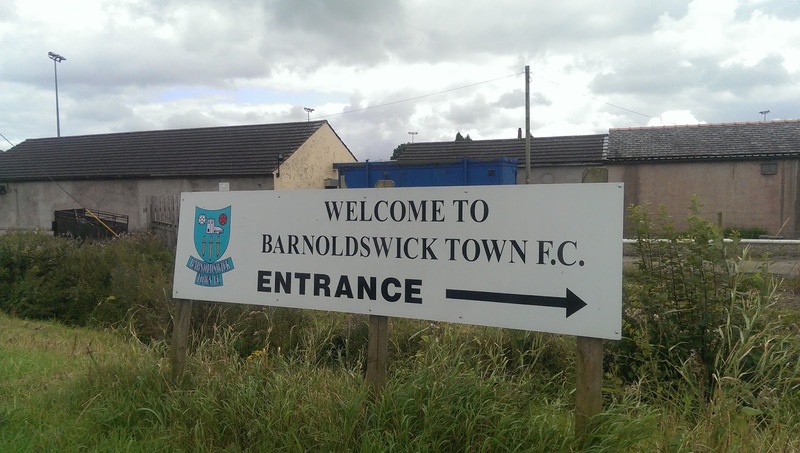 They changed their name in 2003 by adding the “Town” suffix after a merger with Barnoldswick Park Rovers and Salterforth Juniors. There’s a covered brick enclosure at one side behind the team dugouts, with the club name embossed on the facade. 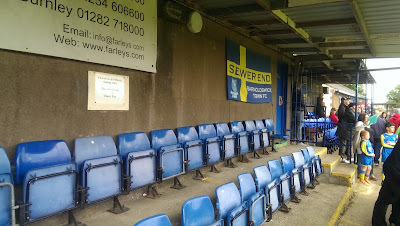 The seats are behind the goal, attached to the changing room block known as the “ Sewer End, with a diminutive stand in the corner next to the clubhouse. The cricket ground side and the far goal are both open standing. A late strike by Danny Boyle booked Barlick a place in the First Qualifying Round of the FA Cup. 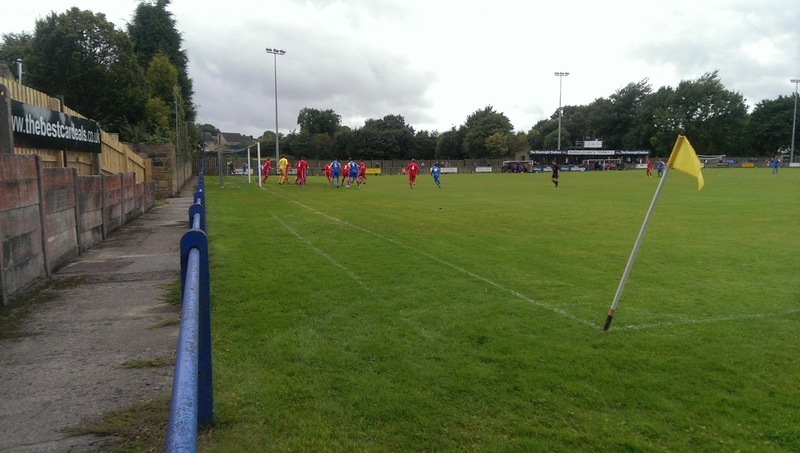 The hosts were the better side in the first half, with a Joel Melin effort hitting the post, before an onslaught on the Dunston defence saw Aaron Hollindrake fire home on 38 minutes. 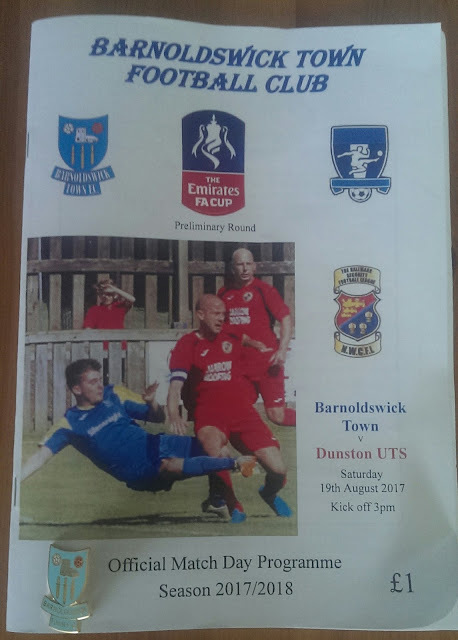 A much improved performance from Dunston after the break, saw them gifted a goal in the 50th minute. 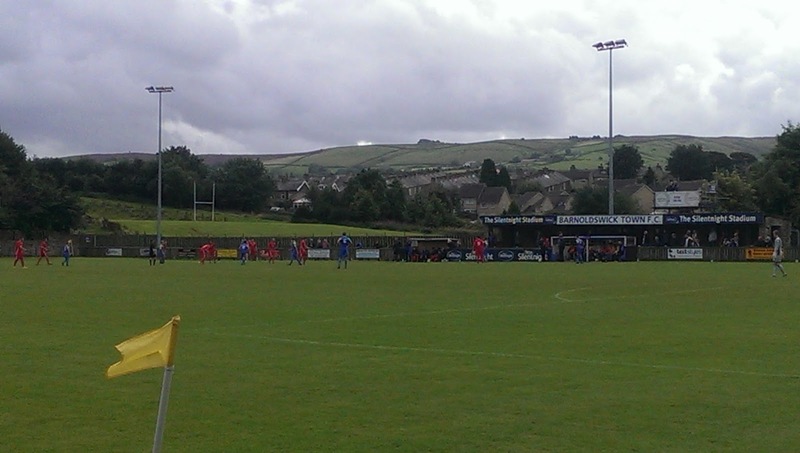 A simple back pass to Connor King saw the Barnoldswick ‘keeper kick fresh air, which allowed Scott Heslop a simple tap in from close range. I fancied there would be a decisive goal, as I couldn’t see the match going to a replay. 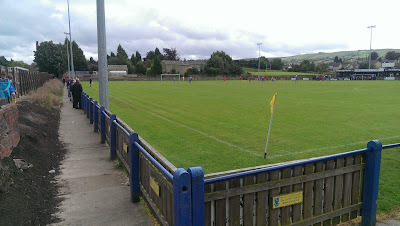 That winning strike arrived five minutes from time when a long through ball found Boyle who beat the advancing ‘keeper to the ball, before tucking into the unguarded net. 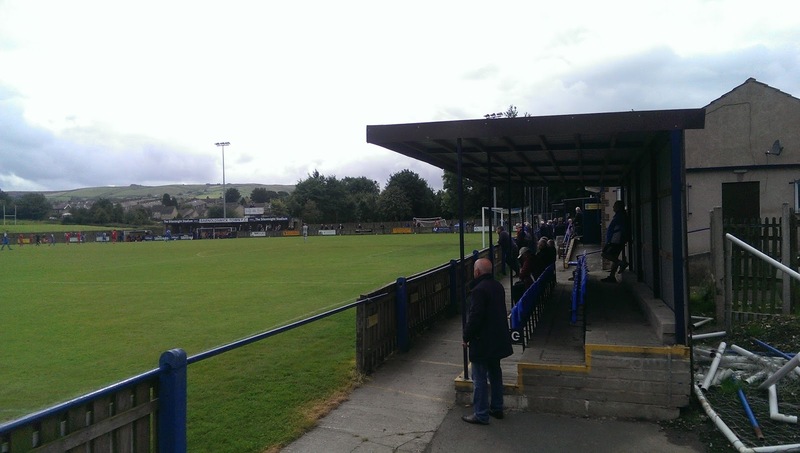 The teams will play each other for the fourth time in the space of a year, when they meet again at the Silentnight Stadium next month in the FA Vase.